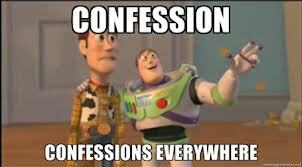 Writing a post after long time due to exams, Recently on Facebook i saw lots of Confession pages being created, Confession pages are becoming a viral on facebook. Many ask How this pages are created, as you would have seen it on facebook, its not a page similar to other pages,confession page where people can confess things in front of everyone or may dedicate to someone without revealing their identity. Lets check how it is created. Step 1 : Login to your facebook account. Step 2 : Click on create a page which you will find it very easily. Step 3 : Now select Cause or Community and then write the name of the page Eg : Abc confession. Dont forget to check the box I agree to facebook page terms. CREATE AND LINK A FORM USING GOOGLE DOCS. Step 2 : Click on Create and Select the Form option from there. Step 3 : Now choose the Theme and fill the Complete Form. Step 5 : Customize the blank Fields and save it. Step 6 : Next you have to click on View live Form and copy the url. Step 7 : Now click on Choose response Destination and Select new Spreadsheet, Name it and then save it. Step 8 : Now paste the Url on the facebook and ask People to Click on the link and confess. Whenever someone will fill the form you will get a message, All you have to do is just copy the confession from the spreadsheet and paste it on your facebook page with the confession number. ← Encrypt And Password Protect your Usb Drive Without Any Software. Hello ! I like Your article. Can you please guide me what exactly do I need to do after logging into my google account ?? thanks it helped me. .
After creating confession page and Google forms and all the steps done.But the problem is “While promoting my confession page to my friends my name not to be publish”. How it can be done?